A counsel to the Department of State Services, DSS, Mosses Idakwo, on Monday told a Federal High Court in Abuja that the director of a pirate radio station, Radio Biafra, Nnamdi Kanu, was sponsoring terrorism against Nigeria. Mr. Idakwo asked the court to disregard a bail application by Mr. Kanu’s counsel, Vincent Obeta, as the matter involving his client was terrorism-related. He said the DSS had evidence of bank accounts owned by the accused person where monies (both in dollars and pound sterling) were allegedly used for financing acts of terrorism against the country. Mr. Idakwo told the court that Mr. Kanu had dual citizenship of Britain and Nigeria and therefore could flee and escape justice if granted bail. He also said the bail conditions issued by the magistrate court were yet to be perfected by Mr. Kanu, who is also the leader of the Indigenous People of Biafra, (IPOB). But counsel to Mr. Kanu dismissed the DSS claims on the grounds that they were speculative. He told the court that his client had long offered to meet the financial requirement by the Abuja Geographical Information System, AGIS, for ascertaining the authenticity of the properties belonging to the surety, but that his offer was rejected by the DSS. Mr. Obeta told the court that the DSS had on four occasions flouted the order of the magistrate court, adding that an order had since been given for his client’s release on bail. He said the request by the DSS to further detain Mr. Kanu for another 90 days, as provided by Section 27 of the Terrorism Prevention Act, was a negation of his client’s right. Mr. Obeta also said his client had been in detention for 90 days. 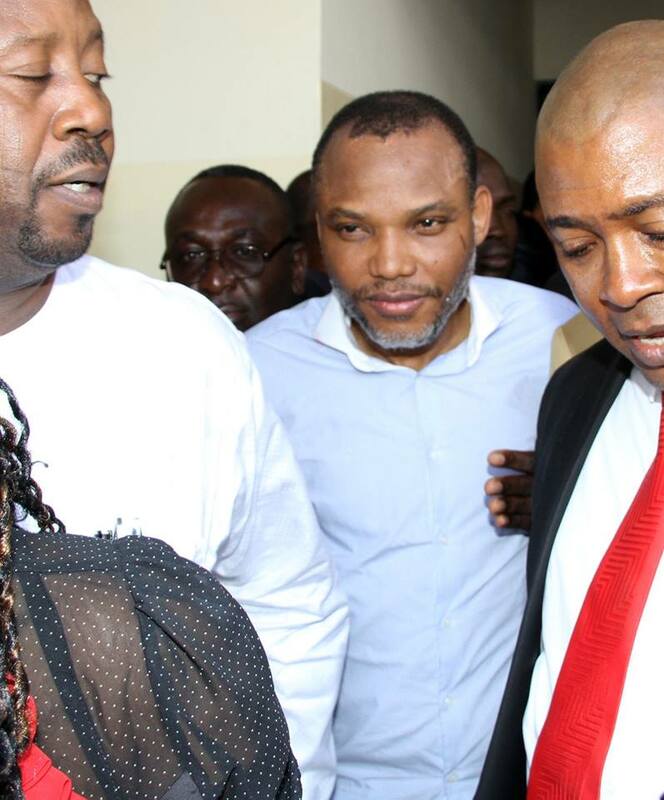 After hearing the arguments of the two counsel regarding the bail application, the judge said he would look into the matter, setting aside Thursday, December 17, to deliver ruling on Mr. Kanu’s bail. Mr. Kanu had been in detention at the DSS cell since his arrest in October by the secret service operatives.